You don't have to know everything about the place to have a great time in Pasikuda, but you will need to know a few basic things before you head off. 130 miles (209 kilometers) to the southwest of Pasikuda is the national capital, Sri Jayawardenepura Kotte. Notable areas nearby include Batticaloa, which is just 16 miles (26 kilometers) to the southeast. Spend less when you purchase an accommodation and airfare bundle through Travelocity. With upwards of 400 airlines and 665,000 lodging options, your Pasikuda getaway is just a click or two away. Our Customer 1st Guarantee offers 24/7 personal assistance on everything from airfares and accommodations to car rentals and experiences. Spotted an even better bargain? We'll meet the price and reimburse the difference^. We will not charge you any hidden fees for altering your travel reservations. And as long as you get in fast, many accommodations won't charge you either^. It's time to spread your wings and be inspired by Pasikuda, and the best place to start is with the search for someplace to stay. 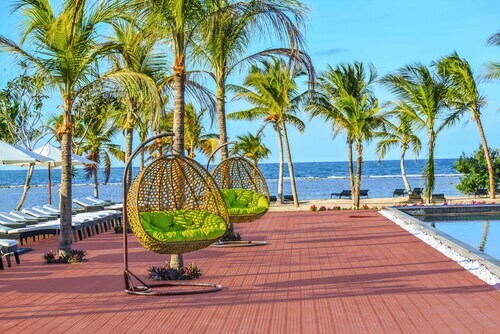 Travelocity offers 13 fantastic options just waiting to be booked. On the hunt for someplace to rest your head in Pasikuda? 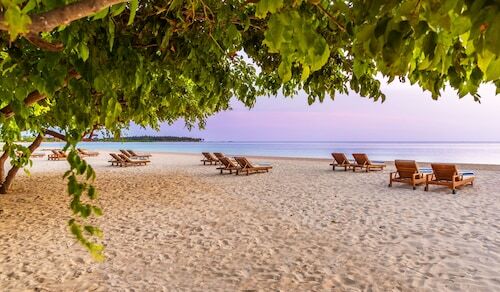 The Maalu Maalu Resort & Spa and Anilana Pasikuda are some of our favorite accommodations in this region. Where do you fly into for Pasikuda? Put on your headphones and binge-watch a couple of movies. In no time at all, you'll be hitting the runway at Batticaloa Airport (BTC). It's approximately 17 miles (27 kilometers) to the southeast from the heart of Pasikuda. Can I rent a car in Pasikuda? Thinking of taking a road trip while visiting Pasikuda? A rental car will no doubt be handy here. Search through some of the choices on Travelocity, take your pick and start organizing your road trip playlist! Unfortunately, there aren't any car rental businesses in easy reach of Batticaloa Airport. You'll need to flag down a cab or investigate public transport if you want to journey the 17 miles (27 kilometers) into the city. 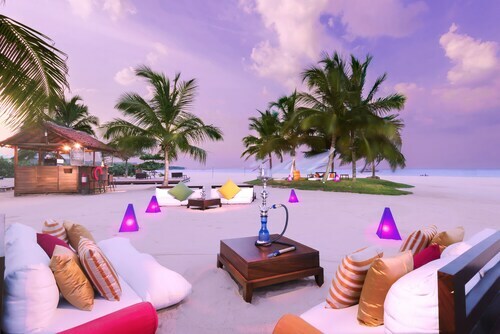 What's your perfect getaway? Whether it's shopping malls or museums, thrilling activities or botanical gardens, Travelocity can help you create your ultimate itinerary. If you've explored the very best of Pasikuda already, don't pack up and go just yet. In fact, you've got iconic tourist attractions just a stone's throw from here! Just 55 miles (89 kilometers) away is Sigiriya. Many visitors use this locality as a base to experience the world-famous attraction, Ancient City of Sigiriya. 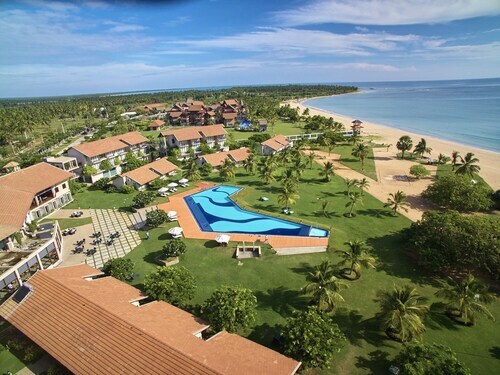 Nestled on the beach, this Valachchenai resort is 0.3 mi (0.4 km) from Pasikuda Beach and 13.3 mi (21.4 km) from Batticaloa Lagoon. 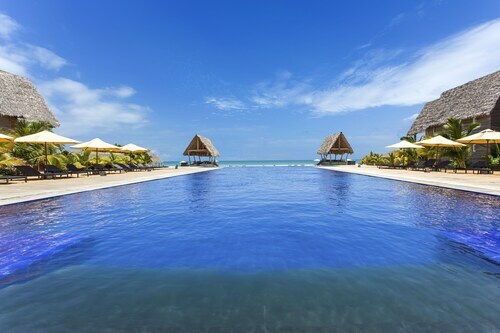 Offering direct access to the beach, this Valachchenai resort is 0.2 mi (0.4 km) from Pasikuda Beach and within 16 mi (25 km) of Saint Nicholas Church Chenkalady and Batticaloa Lagoon. Batticaloa’s Lighthouse is 20.5 mi (33 km) away. Nestled on the beach, this Valachchenai hotel is 0.3 mi (0.5 km) from Pasikuda Beach and 11.8 mi (18.9 km) from Saint Nicholas Church Chenkalady. Batticaloa Lagoon and Somawathie Chaitiya Sanctuary are also within 25 mi (40 km). 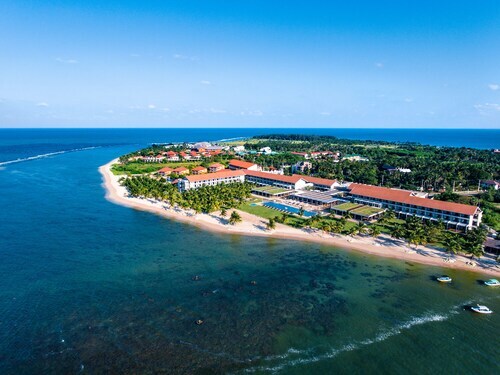 Nestled on the beach, this Valachchenai resort is 0.3 mi (0.5 km) from Pasikuda Beach and 11.6 mi (18.7 km) from Saint Nicholas Church Chenkalady. Batticaloa Lagoon and Somawathie Chaitiya Sanctuary are also within 25 mi (40 km). Nestled on the beach, this Valachchenai resort is 0.1 mi (0.1 km) from Pasikuda Beach and 12.1 mi (19.4 km) from Saint Nicholas Church Chenkalady. Batticaloa Lagoon and Somawathie Chaitiya Sanctuary are also within 25 mi (40 km). Situated in Valachchenai, this luxury resort is 0.2 mi (0.3 km) from Pasikuda Beach and 12 mi (19.3 km) from Saint Nicholas Church Chenkalady. Batticaloa Lagoon and Somawathie Chaitiya Sanctuary are also within 25 mi (40 km). Nestled on the beach, this Valachchenai resort is 0.2 mi (0.3 km) from Pasikuda Beach and 12.1 mi (19.5 km) from Saint Nicholas Church Chenkalady. Batticaloa Lagoon and Somawathie Chaitiya Sanctuary are also within 25 mi (40 km). Situated in Valachchenai, this guesthouse is 1.2 mi (1.9 km) from Pasikuda Beach and 11.7 mi (18.9 km) from Saint Nicholas Church Chenkalady. Batticaloa Lagoon and Our Lady of Sorrows Church are also within 25 mi (40 km).